Winner of the Royal Horticultural Society (RHS) Award of Garden Merit, this vibrant Berberis is a real eye-catcher suitable for the landscape or as a container plant. 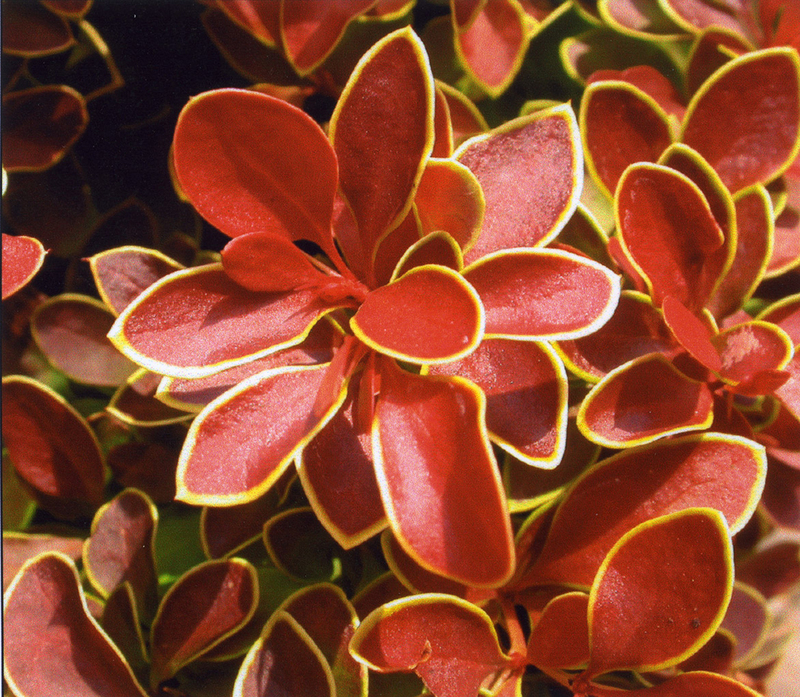 Berberis thunbergii ‘Admiration’ has bright orange-red foliage with yellow margins. The color continues throughout the summer season. To date, no flowers have been observed. Plants have passed the USDA Cereal Rust Disease Trials in MN. This variety has been added to the Federal Register as an approved cultivar.